moRFeus arrives out-of-the-box with Frequency set to 1,234,567.890 kHz and Mixer current set to 0.
the “Getting Started” section of the User Guide ( https://cdn.shopify.com/s/files/1/0770/0935/files/moRFeus_User_Guide_v1.6_v2_web.pdf?2918245811497687996 ) needs to make it very clear you’re not going to see any significant generator output or mixer products until you increase the Mixer current to “1”. Well, I ordered 2… One arrived yesterday 🙂 Quick test: My KiwiSDR ( 0-32 MHz) needed a downconverter. 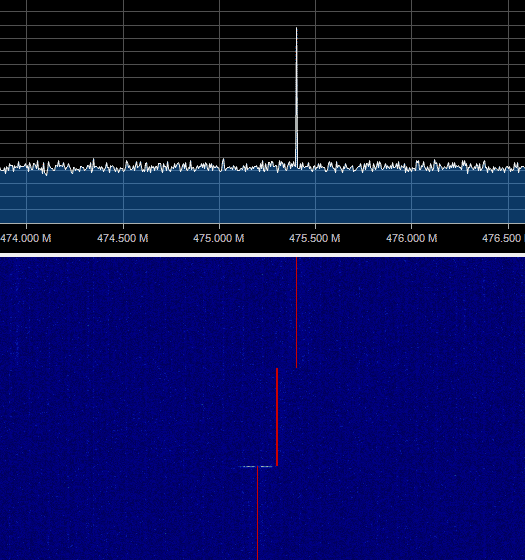 Set the moRFeus to 401 MHZ and connected the output to the KiwiSDR. Logper at the input, mixer current from 0 to 1 and there it goes 🙂 401 to 433 MHz on my websdr. Might need some highpass at the input,however up and running in 10 minutes. 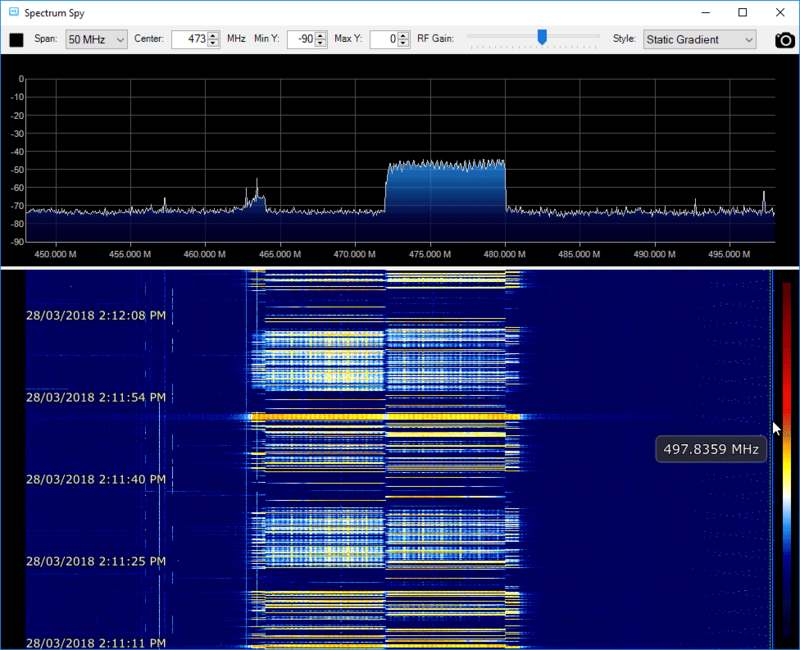 I have got my LimeSDR a few days ago. but always the connectors RX1_H , RX1_L and RX1_W are connected. March 28, 2018 - 7:58 pm Why am I thinking of the HackRF ? My guess is that inside the box is an ATmega chip which is driving the back lit LCD, the 5 input switches are connected to GPIO pins and finally they are bit banging the proprietary 3-wire (or 4-wire) serial bus protocol using GPIO pins to modify the register maps in the rffc5072. I waited until they were fully funded, before I talked about what I think is inside the box, unfortunately they did set their funding goal at $1. The product still is value for money, the rffc5072 chip alone in low quantity (up to 24) is $21.31 each direct from Qorvo. And when you factor in the cost of a custom milled aluminum enclosure, you could not make such a polished item cheaper yourself, especially with the time required to write all the source code, since moRFeus appears to be closed source. 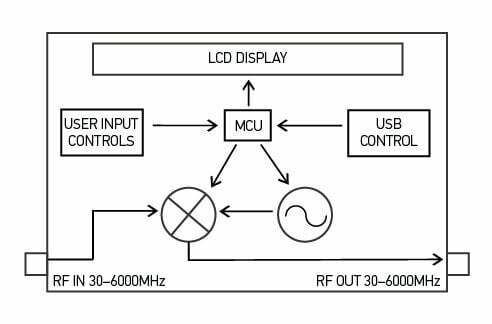 Oh and if you look up page 3 of the datasheet for the RFFC5072 chip and compare the Phase noise to that of the moRFeus device they are almost identical. i will pop open my unit when I get home today and let out all the secrets. For those that need more information on the unit and current developments check out the outernet forums! FC5072A and a EFM8 MCU. What intrigues me about this project is that they appear to be addressing the noise issues that plague most of these fractional synth’s for use as LO’s. A high quality variable LO – especially to 6GHz- is an extremely useful tool indeed and until very recently was almost like a tune-able band-pass filter lay somewhere in our RF future…yet to be designed. This is a good development and one I shall be watching and hopefully investing. As for the HF issue, bolt an Arduino to a Si5351a, get the code and you have DC-200MHz, signal generator and sweep, but good luck with the phase noise. Which brings me full circle to a tune-able band-pass filter. You see they are both required for an mixer quality LO. I was looking for a wide band tracking filter some time ago and found the HMC1044. It’s a 250Mhz to 3G tracking filter IC. Cost around 10$. My mouse hand auto clicked order 1 and then miraculously checked out all by it self.